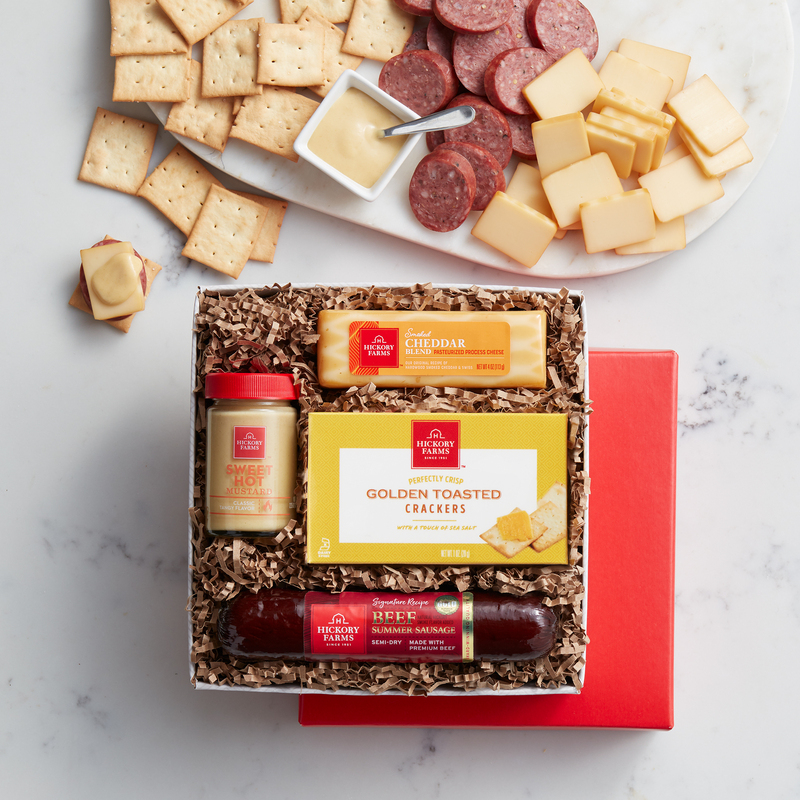 This sausage and cheese gift is the perfect way to introduce gourmet Hickory Farms flavors to new friends. 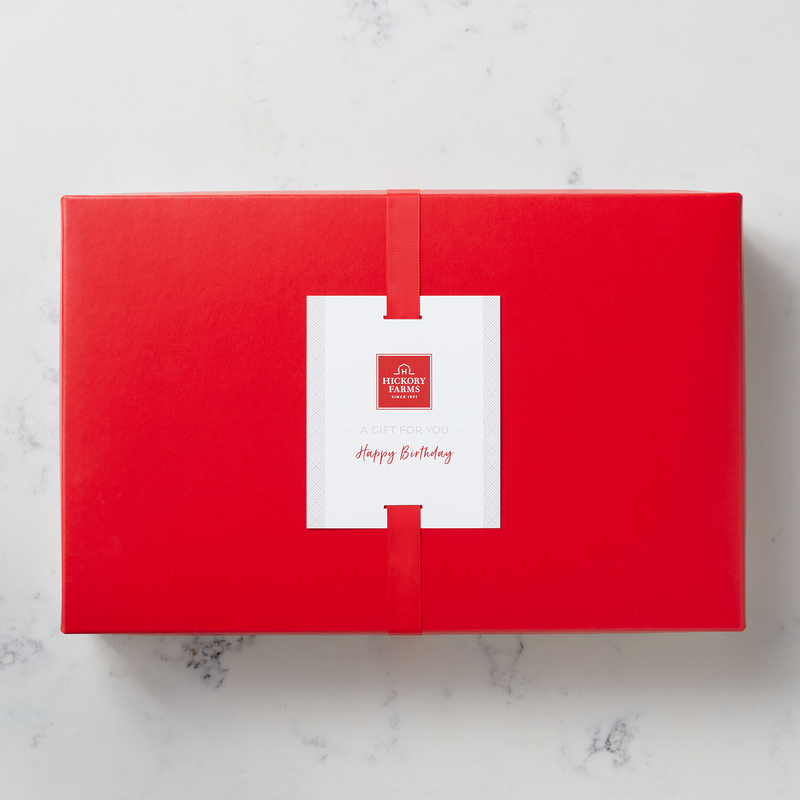 Start them with our Signature Beef Summer Sausage made with 100% premium grain fed beef, a hint of mustard, and a dash of paprika. That award-winning flavor pairs amazingly well with our Smoked Cheddar Blend cheese. Enjoy the combination with our Golden Toasted Crackers to keep you satisfied.